Over the weekend, members of the Pacific Whale Watch Association captured photos and hydrophone audio of the first-ever sperm whale spotted in inland waters in Washington state and the first ever seen by whale watching tours in Washington’s Salish Sea. 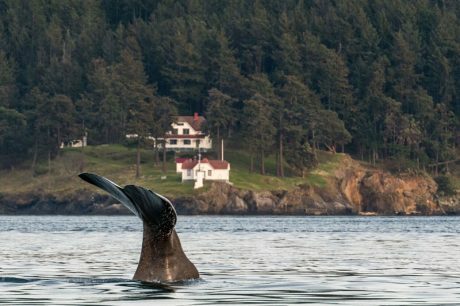 The whale was named Yukusam (from Kwak’wala, First Nations) when it first showed up in Johnstone Strait in British Columbia in February 2018. The whale was photographed in Haro Straight just off Turn Point on Stuart Island in the San Juan Islands.